We want to make an educational trip to Whitaker Center a reality for underserved schools. Thanks to the generosity of individual and corporate donors, the Whitaker Center Educational Outreach Fund can help assist with the cost of a fieldtrip to Whitaker Center and cover experiences such as admission fees for students and chaperones to the Harsco Science Center and documentary films in the Select Medical Digital Cinema. The Fund can also assist school groups with transportation costs related to their trip and will subsidize the cost of admission to our Surgery Live! program and Discovery Camps during the summer months. To make our educational experiences available to everyone, these funds also provide discounts towards our Whitaker On Wheels outreach program that brings the dynamic programming we offer at Whitaker Center direct to schools. Contact us at 717-724-3849 or groupsales@whitakercenter.org. Who is eligible for the Outreach Fund? Eligible organizations include Title 1 School Buildings with a 40% or greater low income percentage, Central Pennsylvania nonprofit organizations that serve low income or disadvantaged youth groups ages 4 through 18, as well as underserved youth groups. What is not covered by the Outreach Fund? WCEOF may not be used to cover food, parking or other associated costs. Hollywood films being shown in our digital cinema are also not covered. How many children benefit from the Outreach Fund? The Whitaker Center Outreach Fund has benefited 28,000 children since 2011. Between 2015-2016, Whitaker Center was able to provide reduced admission to over 6,732 children on 100 different group visits thanks to the Outreach Fund. How do I apply for Outreach Funds? Organization’s approved 501(c)(3) status and have education, the arts, the sciences, or services to children with unmet needs as an important part of the organization’s mission. A copy of organization’s IRS tax-exempt determination letter. 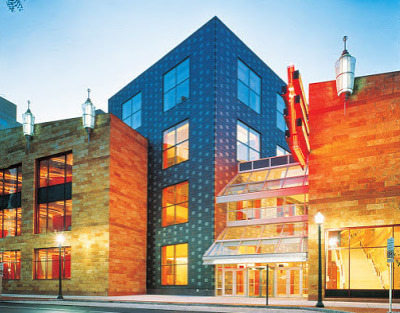 Whitaker Center reserves the right to determine if or how requests will be fulfilled. Contact us at 717-724-3849 or groupsales@whitakercenter.org with questions or for more information.